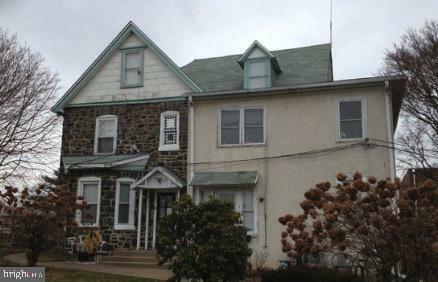 Six Properties for Sale to be sold as a package - Value Add Opportunity - 5303 Haverford Road Philadelphia, PA 19139 (Tax Id: 441223900), is a five bedroom Section 8 home. The property has been leased to the same ten- ant since 2012. - 240 N. Simpson Street Philadelphia, PA 19139 (Tax Id: 343103700), is a three bed-room Section 8 home. The property has been leased to the same tenant since 2013. - 223 Samson Street Upper Darby (Tax Id: 16040176800), is a duplex consisting of two - 2 Bedroom 1 Bathroom. Both units have been completely renovated. Laundry hook available. - 226 Diamond Street Secane, PA 19018 (Tax Id: 10-00-01060-00), is a five unit apartment building. There are two- 2 Bedroom 1 Bathroom and three -1 Bedroom 1 Bathroom. Property is a double lot and sits just across from a park and baseball field. - 308 MacDade Blvd Collingdale, Pa 19023 (Tax Id: 11-00-01695-00), is a commercial building. The building is occupied by Trademark X Grooming Lounge. The lease started in 2014. - 1406 Bywood Avenue Upper Darby, PA 19082 (Tax Id: 16-05-00185-00), is a duplex consisting of two~ 2 Bedroom 1 Bathroom units. - All properties are 100% Occupied. Some of the rents have not been increased in several years. - NOI~$100,451.30 CAP Rate 11.8%. Please see the attached.